Homes to Ranches Realty, Inc., a family-owned, full-service agency based in Ocala, Florida, is lead by the multi-million-dollar real estate team of Greg Lord and his daughter, Amy Lord—lifelong residents of Florida who have proudly called Marion County home since 1985. With their extensive knowledge of North Central Florida real estate, experience in the equine industry, and focus on community involvement, the Lords take pride in providing their clients with the very best in caring, professional service. From training Thoroughbreds to competing in the show ring and rodeo arena, the Lords’ tradition of excellence in the equine world has been carried through to their successful real estate careers. With Greg first turning his sights toward real estate in 1995 and Amy soon following in her father’s footsteps, each has achieved “top seller” status. 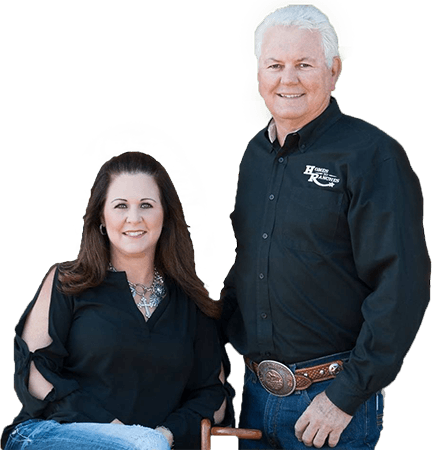 In 2015, the father/daughter team became partners in Homes to Ranches Realty. This philosophy sets Homes to Ranches apart from other agencies. Customers become friends, and friends become family. Both Greg and Amy answer their phones day or night, and their doors are always open if someone wants to come and say, “Hi,” or even drop by for a cup of coffee. With the Lords, their commitment to faith, family, and community are strong. They strive to always put God first and seek Him for guidance, and father and daughter are very proud of the next generation of Lords, which includes children, grandchildren, nieces, and nephews. In addition, the family is very involved with local non-profit organizations and government along with community events and issues. With both father and daughter being recognized by the local business community as top performers in the real estate industry, Amy was also proud to be featured in Ocala Magazine’s 2016 “40 Under 40,” which highlights the area’s young movers and shakers. 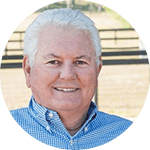 With his diverse background in the horse business, his extensive knowledge of north central Florida, and his well-known experience and professionalism in real estate, Greg’s success in matching clients with the right properties for their wants and needs is no surprise. While growing up in southern Florida, Greg rode and showed hunters and American Saddlebreds, but as a young adult, he discovered his love of rodeo and currently competes in local, regional, and national team roping events. Greg, owner of Dally Up Farm, also helped bring several horses to earn multiple world championships in the show ring as well as raising, training, racing, and marketing Thoroughbreds. He especially enjoys driving horses, too, and often took his team of paint drafts on the region’s beautiful trails. Greg’s knowledge of the area’s geography, neighborhoods, local government, and business community is invaluable when helping clients buy or sell properties. A resident of Marion County since 1985, Greg has served on the county’s various Advisory Boards for 15 years and currently serves on the Planning & Zoning Review Board. His horse-industry experience also gives him insight as to the unique property needs of horse owners and trainers. And, as an owner/developer and advisor to investors, Greg has been involved from the ground up with successfully developing horse farm communities. Amy Lord was just out of high school when her dad, Greg, got into real estate. Like her father, Amy has a competitive spirit and a love of horses. Having competed as a youth in High School rodeo events including breakaway roping and goat tying, Amy is currently active in local and national team roping competitions. From the age of fifteen, she also assisted her father in training Thoroughbreds. By the time she was a young adult, Amy’s entrepreneurial success was already evident. Along with becoming a restaurateur, she owned investment properties and gained experience in the lending business. Later, as a real estate professional and co-owner of Homes to Ranches, she was featured as one of Ocala Magazine’s 2016 top “40 Under 40.” Today, her diverse experience, coupled with her knowledge of the region and its thriving business community, is invaluable to her real estate clients. “I’m always striving to make the buying/selling process as uncomplicated and painless as possible,” Amy added. 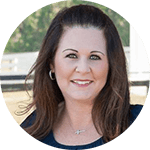 With a passion for finding the perfect home, farm, or land for her clients, Amy prides herself on her integrity and zeal. Underlying it all, though, are her strong work ethic and focus on service. Within the community, Amy strongly supports the Dignity Center for those in need and Kimberly’s Center for Child Protection. Join the Homes To Ranches Realty Inc. Family! We look forward to keeping you informed on all the new market trends and on what we as a team are doing in the community!